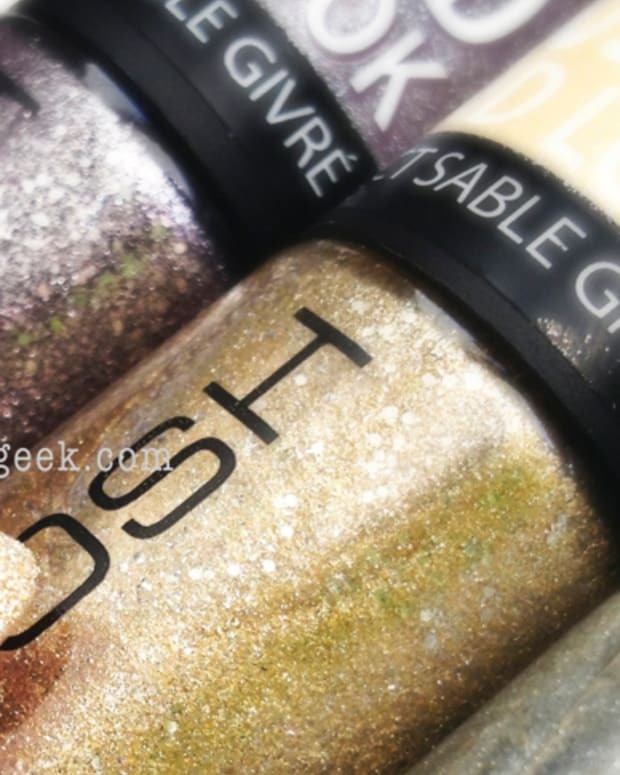 Gaze upon the richness and warmth of OPI&apos;s Fall/Winter and Essie&apos;s Fall 2013 powerhaus polishes. Packed with duochromes and shine, these two collections are the business. And they&apos;re part deux of our two-part Fall powerhaus picks (see part I here). OPI Haven&apos;t the Foggiest ($10.95, opi.com for retailers), from the San Francisco collection -- see the full range here: Brilliant, multilayered metallic awesomeness. It&apos;s clean, bright, cool, and unbelievably hot. OPI Muir Muir On The Wall (San Francisco collection; $10.95 each, opi.com for retailers): Oooh. A burgundy plummy-ish coppery duochrome. It&apos;s got an almost satiny finish but if you slap a coat of top coat on it (I used my favourite Revlon), it shimmers and shines and screams edgy. OPI It&apos;s All San Andreas&apos;s Fault (San Francisco collection; $10.95, opi.com for retailers): Hallo, liquid sand. I love you, liquid sand. Glitter- and sparkle-free, we&apos;re looking at a bumped-up sophisticated cappuccino. Perfection achieved in two easy coats. OPI Alcatraz Rocks (San Francisco collection; $10.95 each, opi.com for retailers): I don&apos;t have the words to tell you how much I love this shade of Liquid Sand. 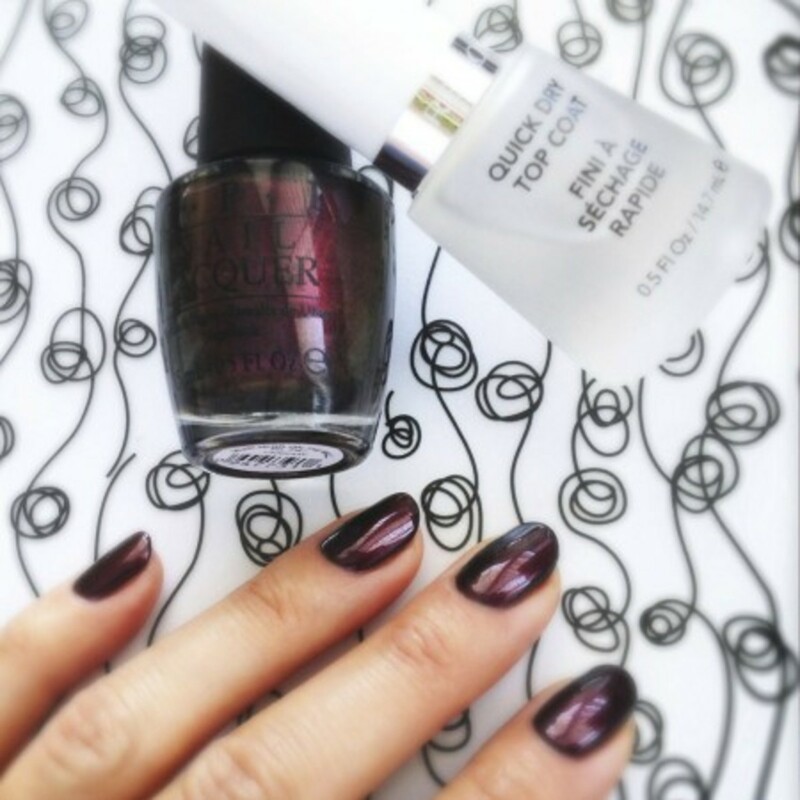 From the 15-bottle OPI set of Fall 2013 nail polish, I pick this as most favourite in the world. Winner. Gagnant. 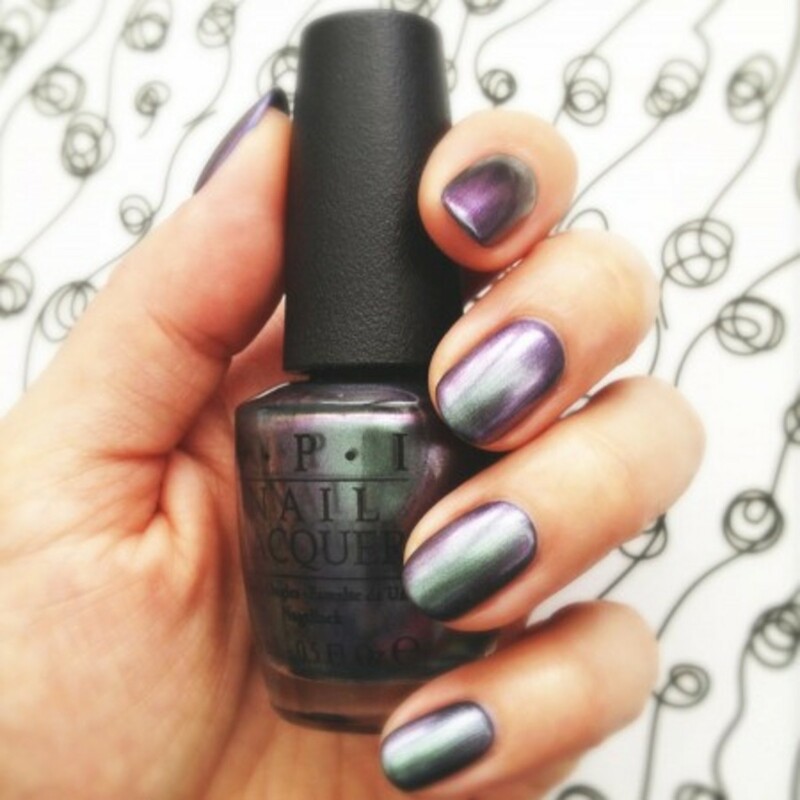 OPI Peace, Love, and OPI (San Francisco collection; $10.95 each, opi.com for retailers): Remember Rimmel London Zeitgeist*? I do. 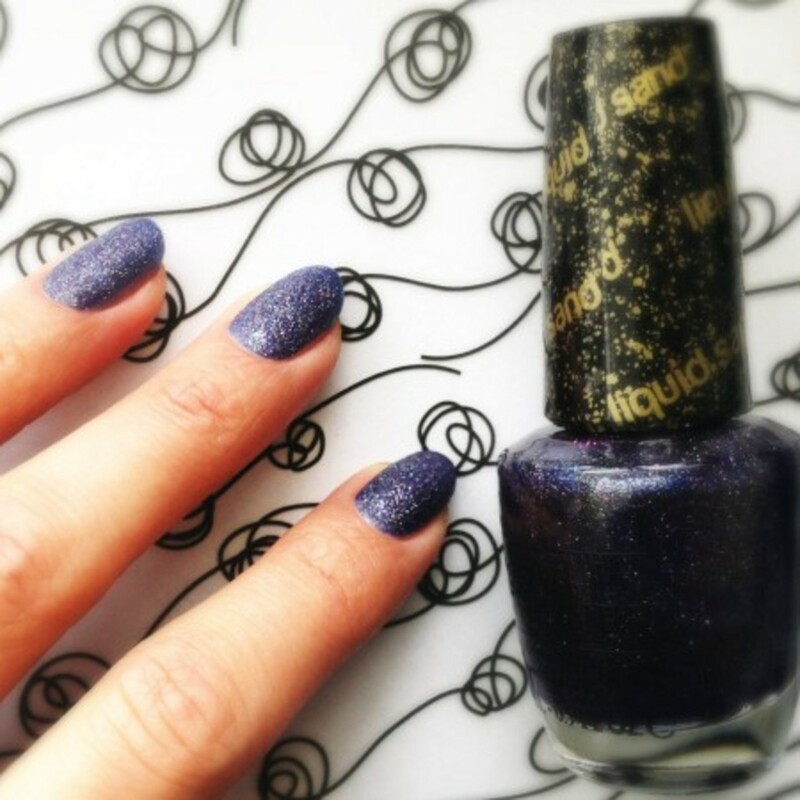 It was one of the very first duochrome polishes ever created and it was groundbreaking. I kept that bottle and used that bottle for more than seven years. About six months ago, I had to let it go -- it got to that part in the bottle where it had nothing left to give. It was my saddest day in polish-hoarding land. I wish I had a picture to show you but I don&apos;t. Oh! Wait! I do! Sorta. 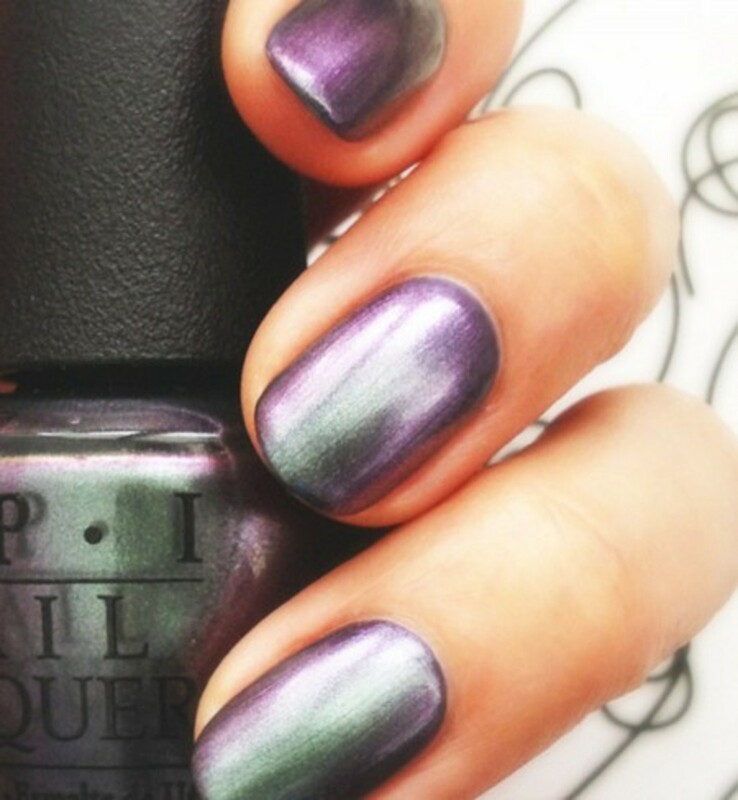 OPI Peace, Love and OPI is my new Zeitgeist. If you ask me, it&apos;s the shade of the season. Yep, I said that. I&apos;m going to keep this forever. 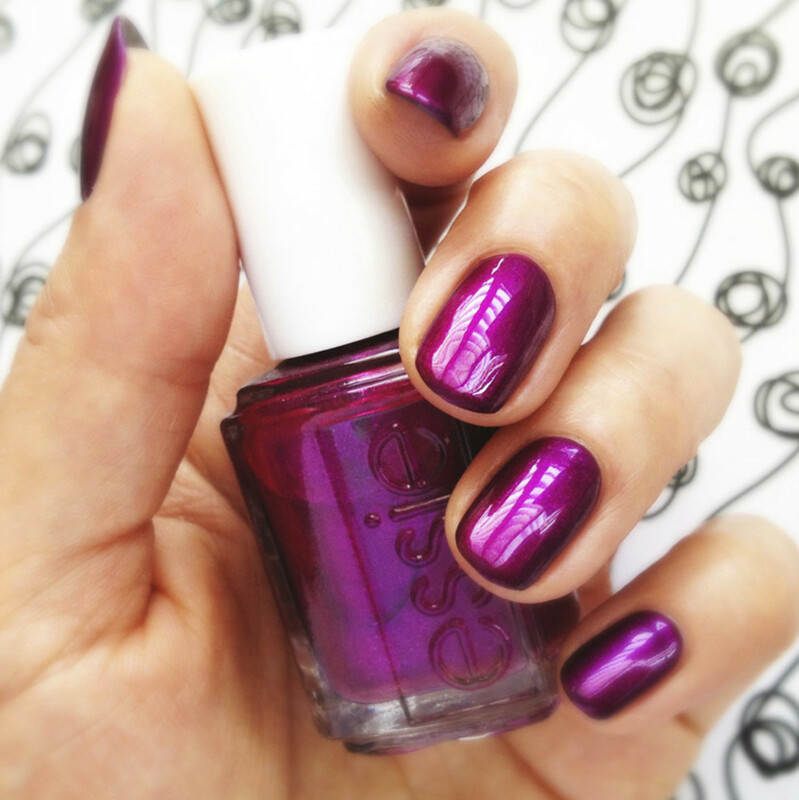 Essie answers the call of the Fall, too. I don&apos;t know what they&apos;ve done to their new formula but it is an absolute pleasure to use. It&apos;s thicker, it self-levels, doesn&apos;t streak, and coverage is fantastic. It. is. good. And they&apos;ve released a duochrome too, so you have shopping options. 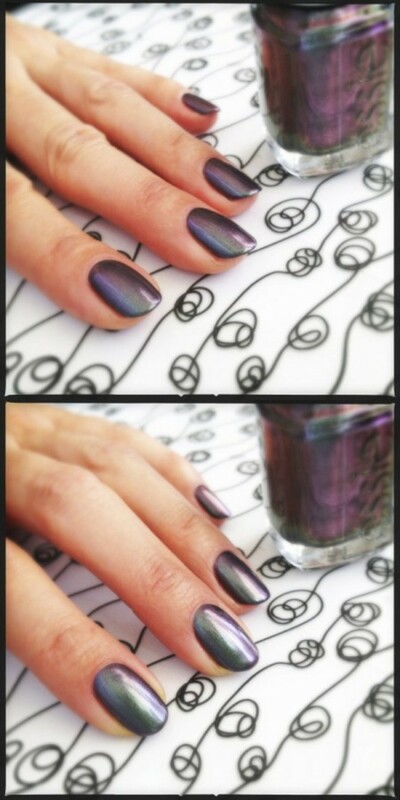 Essie For The Twill Of It ($9.99, essiecanada.ca for retailers): Lookit that duochrome! Lookit! Purple, green, silver, grey, purple, green, silver. That right there is a what I call a Gimmie-That Colour. 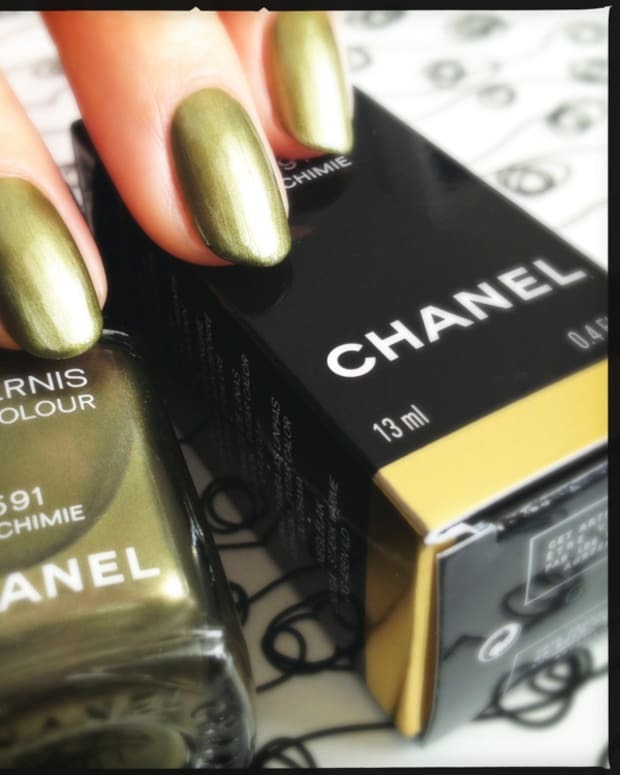 How does it compare with OPI Peace, Love, and OPI? Same. You need one or the other. 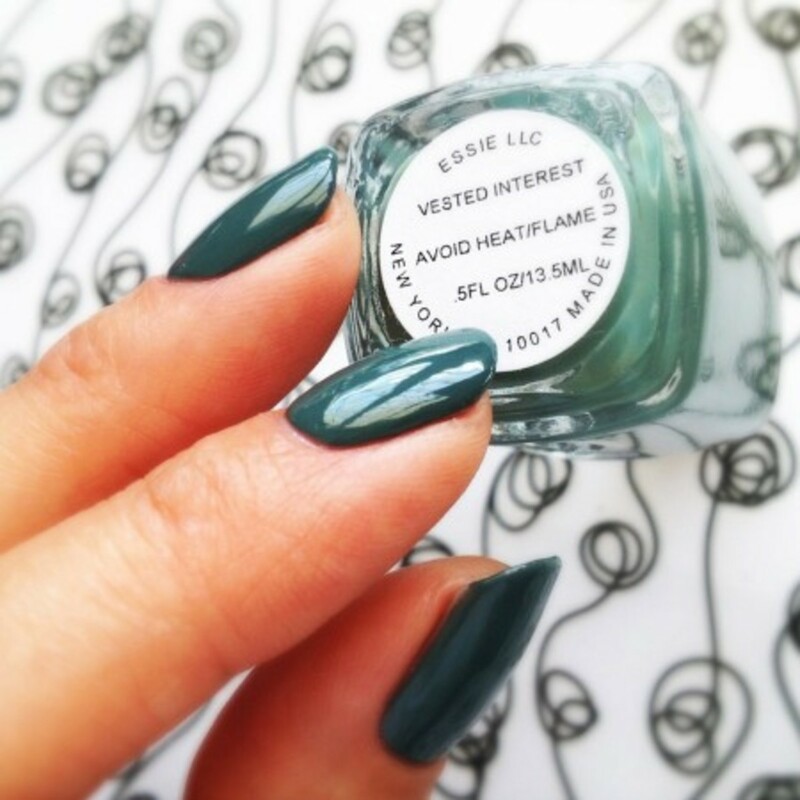 Essie Vested Interest ($9.99, essiecanada.ca for retailers): Solid and glitter-free. No chrome, no sparkles, no metallic, no flash. 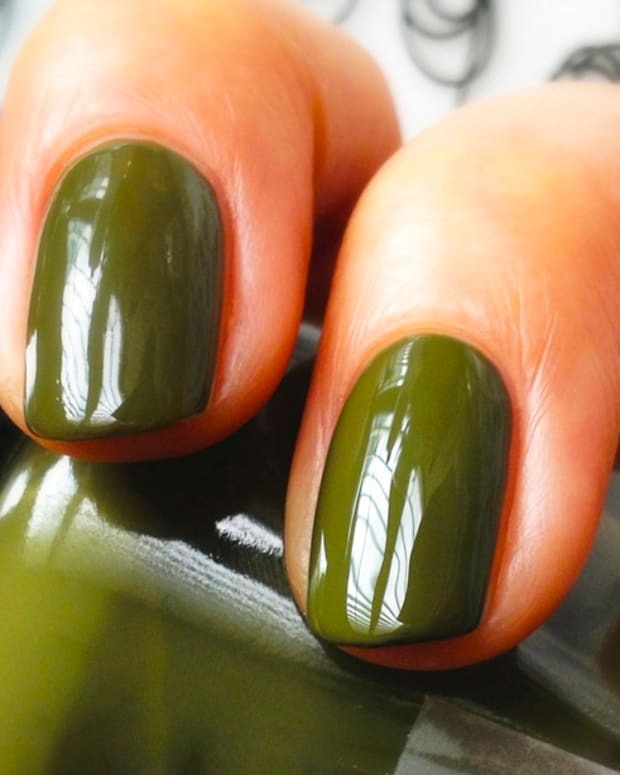 Simply the perfect Fall green for your nails. It makes me think of pine trees. And Fall. And winter (although Essie&apos;s Winter polish collection is a whole new set of colours). Essie Cashmere Bathrobe ($9.99, essiecanada.ca for retailers): Subtly sparkly but in no way glittery, how much do I love a charcoal grey? A lot. It&apos;s wintery and moody with an elegant little twinkle. 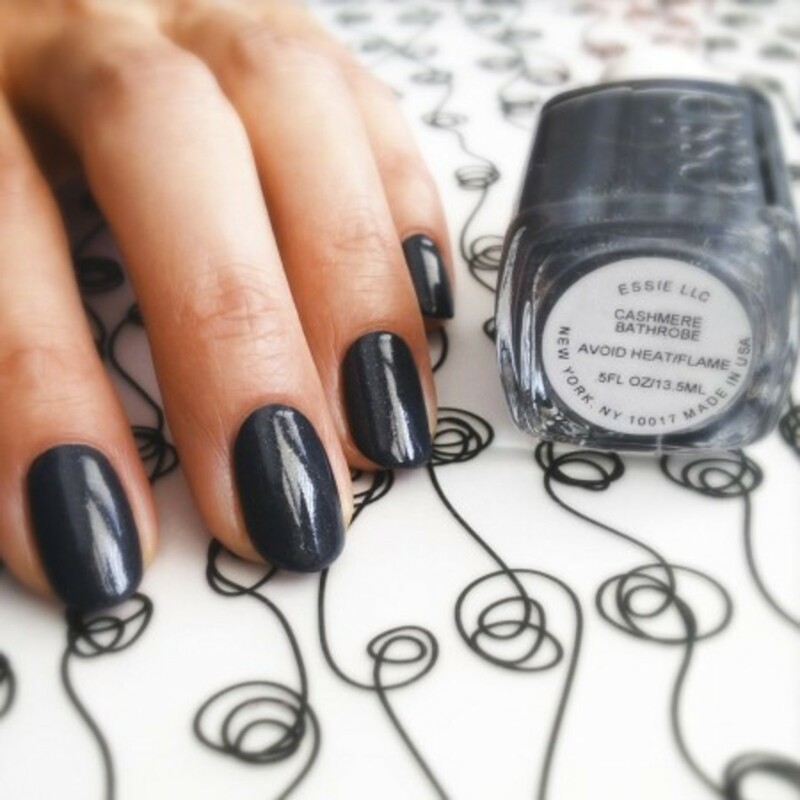 Essie The Lace Is On ($9.99, essiecanada.ca for retailers): See photo for approximately 1000 words (some of those words should be metallic, bold, magenta, ooooh, and gimmie that). Yes, it&apos;s from the Fall 2013 nail polish collection but I don&apos;t care. I&apos;m wearing it now. I&apos;ll wear it again in Fall, too. And probably again in winter. Availability: Shop Amazon.com for OPI. Shop Amazon.com for Essie. Shop Ulta.com for all things nail. Photos and manicures by Karen Falcon (she eats Cheetos for dinner). *Definition: Zeitgeist (spirit of the age or spirit of the time) is the intellectual fashion or dominant school of thought that typifies and influences the culture of a particular period in time.